All camps include: Lunch, Insurance, Camp Attire & Sports Specific Instruction. Please complete the "CAMPER INFORMATION" section before selecting a camp option. Please note: The Catholic Experience camps (High School & Latin School), Model UN Camp, History Camp (High School & Latin School), & STEM Camp are available for students of Kellenberg Memorial High School and the Latin School. 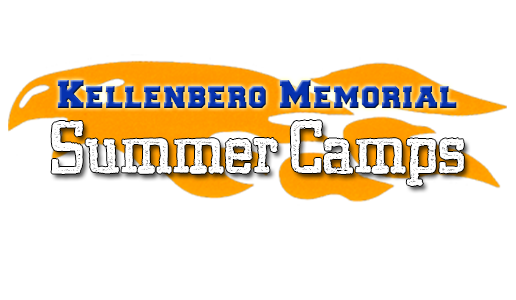 A valid Kellenberg Memorial email address is required to be able to register for these exclusive camps. This is only required for KMHS or Latin School students who are registering for these camps. Please start by selecting the number of campers you would like to register. Please read the statement below. After you have read the statement, please check the box to acknowledge that you have read and agree. I hereby certify that my son/daughter is physically fit to participate in all camp activities. I hereby give my son/daughter permission to participate in all the activities of Kellenberg’s Instructional Sports Camps and Enrichment Camps. I will not hold Kellenberg Memorial responsible for any injuries sustained. I indemnify and hold Kellenberg Memorial High School harmless from any claim or liability asserted by him/her or on his/ her behalf arising out of his/her participation in the 2019 Summer Camp at Kellenberg Memorial High School. I have read the above statement and agree. Payment must be received in a full (unless otherwise stated). Declined credit cards or incomplete payments will not receive a confirmation email and your registration will not be recorded. If you have any questions, please contact Mr. Kevin A’Hearn at (516) 292-0200 ext. 242 or [email protected]. There is a $75.00 refund fee for any cancelled registration. You may request for a cancellation/refund at anytime by contacting Mr. Kevin A’Hearn at (516) 292-0200 ext. 242 or [email protected].